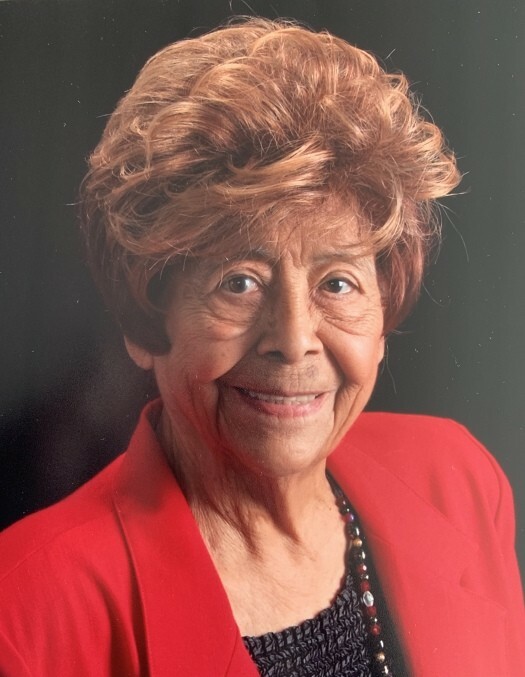 Olivia Sauceda Rodriguez, age 94 of Frisco, Texas formerly of Beeville passed away on Friday, January 18, 2019. Mrs. Rodriguez was born in Driscoll on December 27, 1924 to Francisco & Paula (Maldonado) Sauceda. She was married to Eralio Rodriguez in 1964, and was a retired Licensed Vocational Nurse. Her natural gift was always serving others which made her such a special nurse, mother, grandmother, and friend. She devoted the last 16 years of her life to help raise her two grandchildren, Olivia and Erich, it brought so much joy to her life. She is preceded in death by her husband, daughter; Mary Alice Valdez, and grandson; Tony Valdez. Survivors include one daughter; Debi (Steve) Florence of Frisco, five grandchildren; Olivia Florence, Erich Florence, Marc Valdez, Rick Valdez, and Anna Valdez, son-in-law; Mario Valdez, and a host of other relatives and friends. Visitation will be held at Trevino Funeral Home on Monday, January 21st from 3:00p.m. – 5:00p.m. Funeral service will begin at 3:30p.m. with Rev. Isaac De Los Santos, officiating. Interment will be private.